Lucia Berlin (1936–2004) lived in many places and in many ways. She was a well-off teenager in Chile with an influential father; she was a poor housecleaner in California with a drinking problem. She also lived in Arizona, Colorado, New York, and Mexico. Berlin attended the University of New Mexico, in Albuquerque, and continued to spend time here. Several of her New Mexico–based short stories made it into the New York Times bestseller A Manual for Cleaning Women. Both the foreword by Lydia Davis and the introduction by editor Stephen Emerson allude to Berlin’s strongly autobiographical fiction. The narrator is most often a woman, doing things Berlin did, suffering afflictions Berlin suffered. And this is not dull fodder. Davis writes, “Things actually happen in the stories—a whole mouthful of teeth gets pulled at once; a little girl gets expelled from school for striking a nun; an old man dies in a mountaintop cabin, his goats and his dog in bed with him; the history teacher with her mildewed sweater is dismissed for being a Communist.” We find her protagonists sitting in an Albuquerque laundromat, talking to “a tall old Indian in faded Levi’s and a fine Zuni belt” or walking down the street with a baby in a stroller, past Clyde Tingley’s house. She writes, “We went by his house because not just at Christmas but all the time he had Christmas tree lights strung up, all over the porch and on all the trees.” We know the former governor for his good deeds and civic leadership, but to stumble upon a detail like this one, verifiable or not, is a treat. Her meticulously built stories have a freewheeling, conversational texture that Stephen Emerson describes this way: “The prose claws its way off the page. It has vitality. It reveals.” While her writing represents many decades of 20th-century life, it also retains a contemporary voice, as if it were written yesterday. When Berlin was alive, she published books with small presses, had a cult following of readers, and received meaningful accolades. Berlin’s 1990 book Homesick won the American Book Award, and she was awarded a National Endowment for the Arts fellowship. A Manual for Cleaning Women is not just a victory for Berlin’s legacy (although one wishes this breakout success had occurred during her lifetime); it also demonstrates that, notwithstanding the digital age’s effects, literary short story collections can still find an enthusiastic, sustaining audience. In this fascinating historical novel, an aspiring archaeologist discovers buried treasure in an arroyo near Las Cruces: 11 deerskin sacks of gold, a silver rosary, a bow, and arrows. The story then pivots to 1680, the time of the Pueblo Revolt. Two Spanish padres flee Acoma Pueblo and, with the help of a befriended Apache teen girl, find a way to make new lives for themselves in what is now the Gila Wilderness. Their quest links up with the buried stash of goods; it’s a pleasure to watch the author connect the dots. Arroyo Seco jewelry artist Claire Haye injects her personal experience into this even-keeled manifesto about getting older. 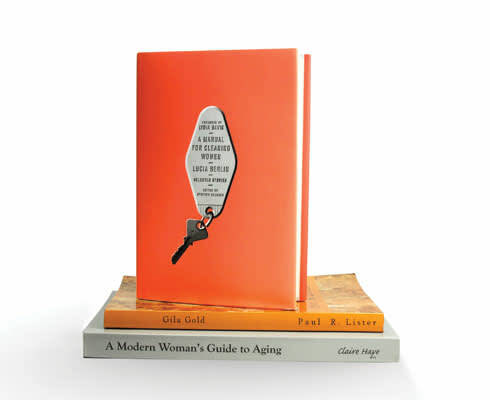 Though women often feel progressively invisible and irrelevant as they age, this book impels them to stay in the game. Advising a combination of self-care, planning, and action, Haye encourages women to enrich society with their wisdom and expertise.